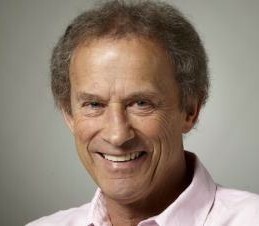 Dr John Tickell is an internationally renowned extraordinary presenter who is passionate about the health and peoples well-being. He has presented for numerous industry associations, corporations and professional groups in Australia and abroad and is well known his known for motivating audiences and discussing not only how to maximise your health but how to get the winning edge needed for your organisation to compete in the market place. He was the creator of the Hyatt Regency Coolum International Resort and Spa in Queensland and the Heritage Golf and Country Club in the Yarra Valley of Melbourne. The Doctor is a best-selling author and well-known media personality. An internationally acclaimed speaker, Dr John is the only Australian to be invited to speak on the main platform at the American Million Dollar Round Table Insurance Conference twice and has been rated in the Top 10 Presenter in the world by the International Young Presidents Organisation (YPO) which involves 27 countries worldwide. He is the only doctor in history to have had a Top 40 hit record, co-owned the winner of the richest thoroughbred handicap horse race in the world – the Melbourne Cup – and fought brain cancer. Dr Tickell has published and sold millions of books worldwide including co-authoring the multimillion bestseller Golf and Life with Jack Nicklaus. He has also worked with such high-profile people as Donald Trump, Greg Norman, Richard Branson, Lisa Curry, John Newcombe, Anthony Robbins, General Norman Schwarzkopf and share the stage with presidents of the USA and the USSR. Dr John has now presented to more than 2,000 Industry Associations, Corporate Meetings and Professional Groups. He has presented at Medical, Primary Industry, Mining, Transport, Advertising, Fashion and Hospitality Conferences & Conventions, Charity events, as well as to Corporate Groups at Sporting Events and Corporate Golf Luncheons. He has been rated among the top 10 speakers in the world and has also been rated as the #1 Take Home Value Presenter – because people remember his tips!